Gas piping is serious business, which is exactly why you shouldn’t trust just anyone to do it. Our commitment to safety means we take every precaution, from permits to inspections, to make sure your gas piping is safe and secure. Whether we’re working in Washington, DC, Maryland or Virginia, you can count on John G. Webster to do the job right. When you call John G. Webster for a SpacePak air conditioning and/or heating system, our knowledgeable sales team will determine the best model for your home’s unique needs. Our budget-friendly service agreements will keep your new SpacePark system operating at peak performance, saving you both inconvenient breakdowns and expensive repairs down the road. 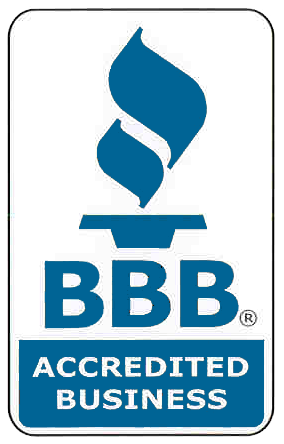 You can rest assured that our HVAC technicians are the very best in the business, and will treat your home with respect. Not only do our technicians receive training in the newest technologies, all go through extensive background checks so you can feel comfortable with them in your home. 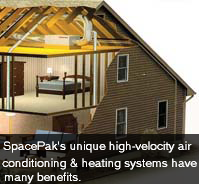 Interested in Space Park high-velocity air conditioning and/or heating system? Contact us today!